The unfortunate side effect is that I will occasionally catch the random episode because, well, K's hogging the TV and our house has an open layout. And by now, I can definitely tell you that I despise Voyager. 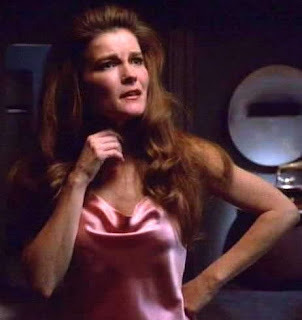 I can't stand Captain Janeway, especially those story lines where she's supposed to be all seductive/attractive, when her personality totally comes off as a cold-hearted, strict schoolmarm. And Neelix, the supposed comic relief, is sooo annoying! 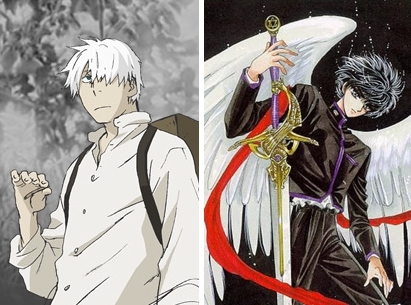 Seriously, I can't think of a single character I care even remotely about. Apparently, season 4's introduction of the Borg and Seven of Nine makes the series somewhat redeeming, but I can't believe K's going to slog through 68 episodes just to get there. Have you ever been coerced into watching a TV series you dislike? Did you eventually end up enjoying it or was it pure torture all the way through? My girlfriend is a huge Buffy fan so I have been coerced/forced into watching the show. I think I am similar to K in that I prefer to start things from the beginning. This went against the warning from my girlfriend because the first few seasons of Buffy are much lower budget/cheesier than later seasons. Up to this point we have finished the first five seasons, and I have to say I actually enjoyed parts of season 4 and a good part of season 5. Still two more seasons to go X_X! I think it worked out well for her as well because the show I made her watch was Firefly which she really enjoyed.